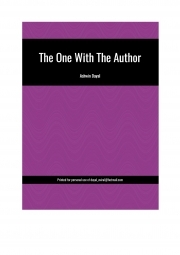 Description of "The One With the Author (eBook)"
This story features a young boy, Ash, and a brilliant author, Ravi Rajnandani, who become nice friends. Ravi needs an idea for a book when he meets Ash. Will Ash be able to help him out? Ashwin Dayal is a ten year old budding author. He loves reading books and this passion led him writing stories. His family has always been a big companion for him forever. Reviews of "The One With the Author (eBook)"